We don't just demonstrate this everyday with our clients; we have a mission to help make the world a better place. We look beyond our doors and toward our local community and those more distant. With a founding philosophy of contributing locally and internationally- we hold our head high in being able to constantly demonstrate this. We give a day of medical care for an underprivileged child in India for every appointment and every client we treat. And we give a week of medical treatment for every friend / family member referred by a client. As of March 2019 we have donated over 3100 days of medical care so far! As a patner with B1G1 Business for Good- together we are helping the work to be a better place. Click here for our blog on reaching 2000 days of giving. Click here for our blog on reaching 3000 days of giving. 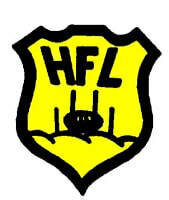 We continue to proudly sponsor the Hills Football League. Supporting community engagement, health and well being at the grass roots level.